James and I have so much in common it's insane. Clearly we should be friends and go shopping together, LOL. 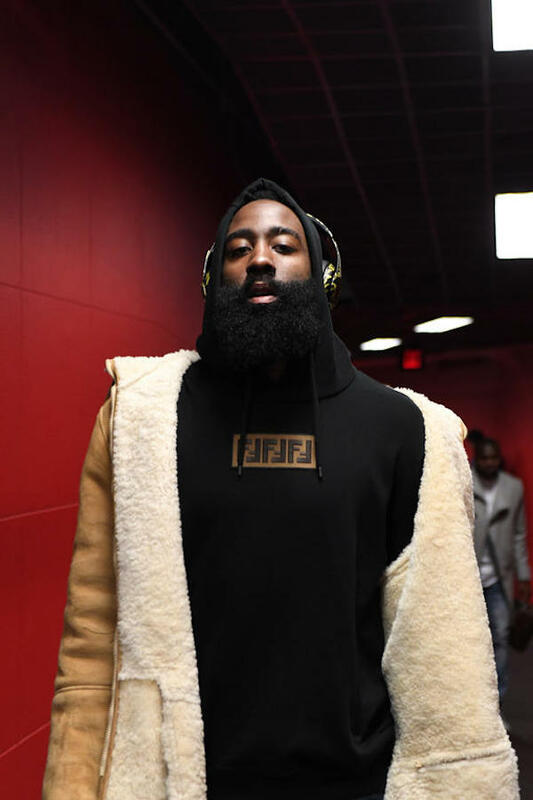 Harden was snuggled in a Fendi hoodie before the raptor game.